There will definitely be times where you feel that your skin isn't doing as great as usual, or it just doesn't feel right. A sudden change of weather, a change in your environment's temperature or even daily externalities like pollution all add up and contribute to bad irritated skin conditions. If you find your skin reacting to these external factors easily, chances are your skin is facing a sensitive skin moment. Stress can also be one factor that contributes to #BadSkinDays. 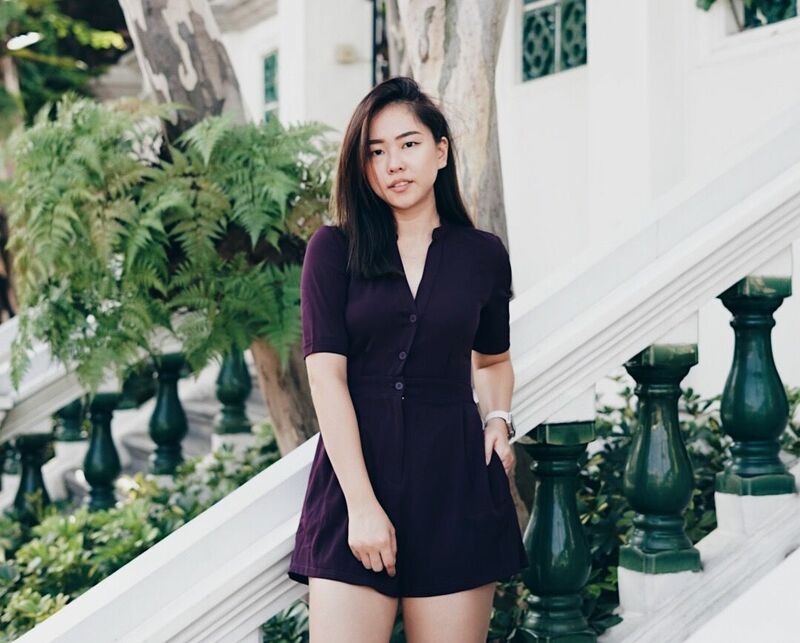 People always ask me how I juggle between my full time job and maintaining my social media accounts, include writing reviews and articles on my blog. Most of the time, I casually brush off the remarks by telling them, "sometimes you have to sacrifice your time! But if you're passionate enough, it will never feel like a chore.". Truth is, sacrificing time is not as easy as it seems. 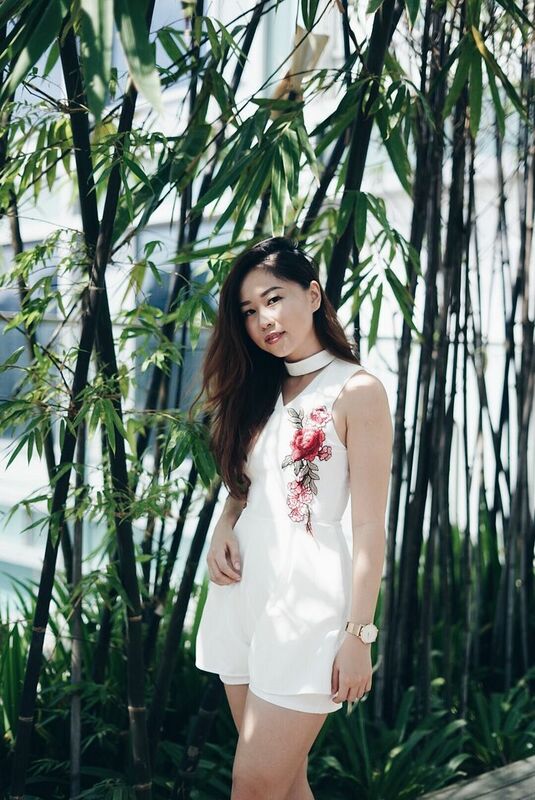 I get really stressed (and sometimes fed-up with myself) when I have not much time to work on my blog. It also always leads to lesser sleep time because I have to rush out my posts at night (guilty of this as I am typing this). All these factors are really stressing out my poor skin. Sometimes, I get rough skin on my forehead and cheeks. During the really bad skin days, patches of redness will start to show. PS: It also doesn't help when I drink around once a week. Haven't we all been through this? Our skin tends to itch especially when their environment is dry and cold. Don't think the sunny Singapore can spare you from this because the culprit behind it is our air-conditioned rooms. Doesn't sound right when your skin starts to feel hot and to the extent of burning sensation! It says it all. Any form of discomfort is not welcome. Similar to the reason behind skin itchiness, dry skin is a prevalent skin problem too! 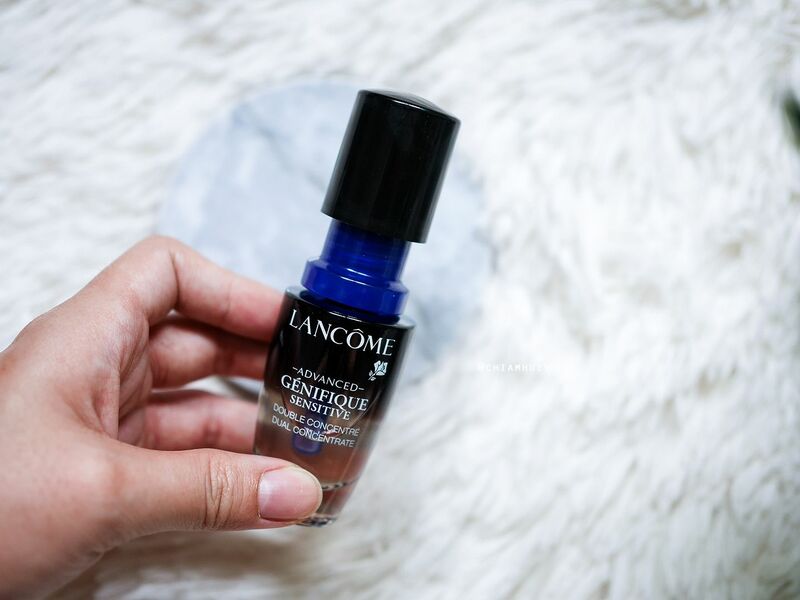 Even before laying your hands on the Lancôme Advanced Génifique Sensitive, you would have notice the precision topper (dropper) is packed separately, unlike Lancôme Advanced Génifique. 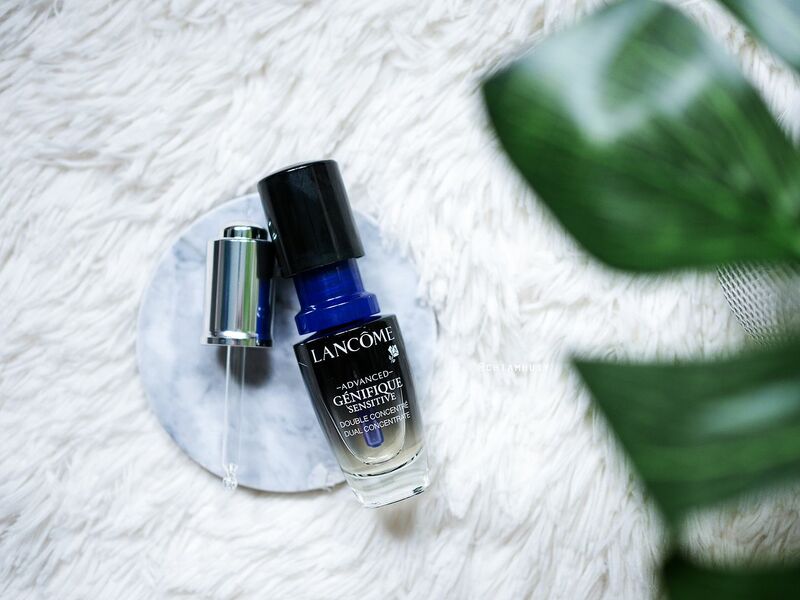 The reason is because you'll have to first activate the rich antioxidants packed in the booster cap to combine with The Advanced Génifique base. 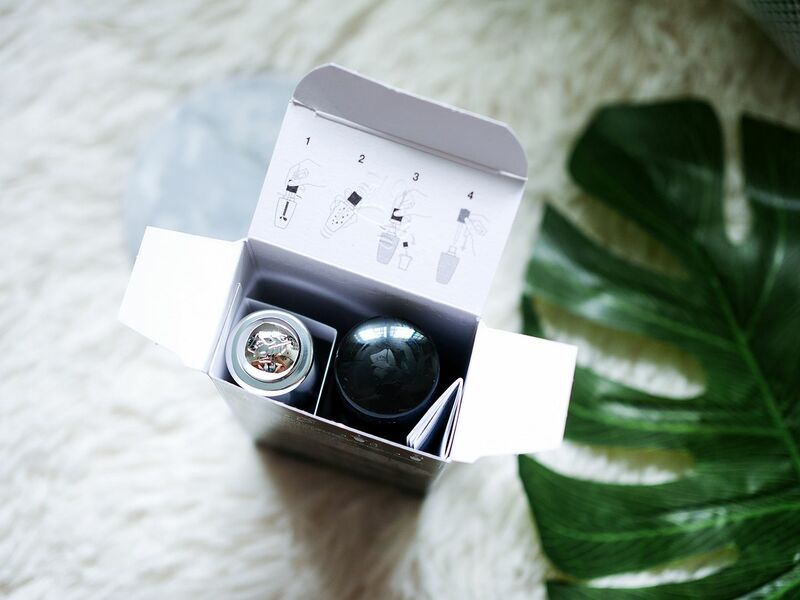 That's one way to keep the skincare product fresh and making sure the antioxidants do not lose their efficacies over time before someone purchase and start using it. 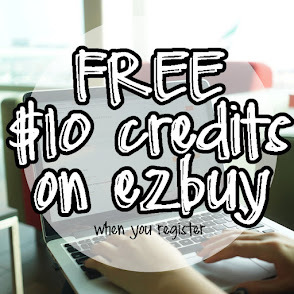 The rich antioxidant formula contains two crucial ingredients that actively prevent oxidative stress - vitamin E and ferulic acid. 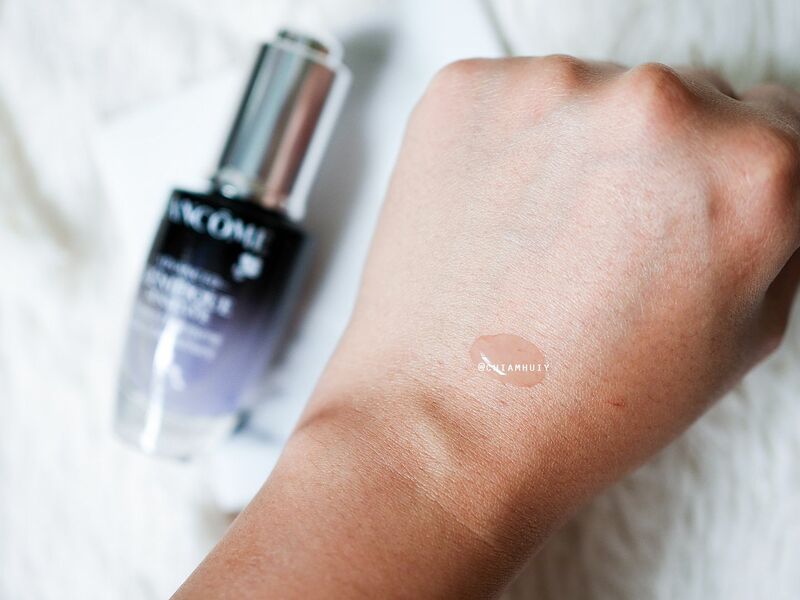 These active ingredients are able to target a wide range of oxidative stress, protecting against harmful effects that damage cell membrane lipids essential to skin integrity. 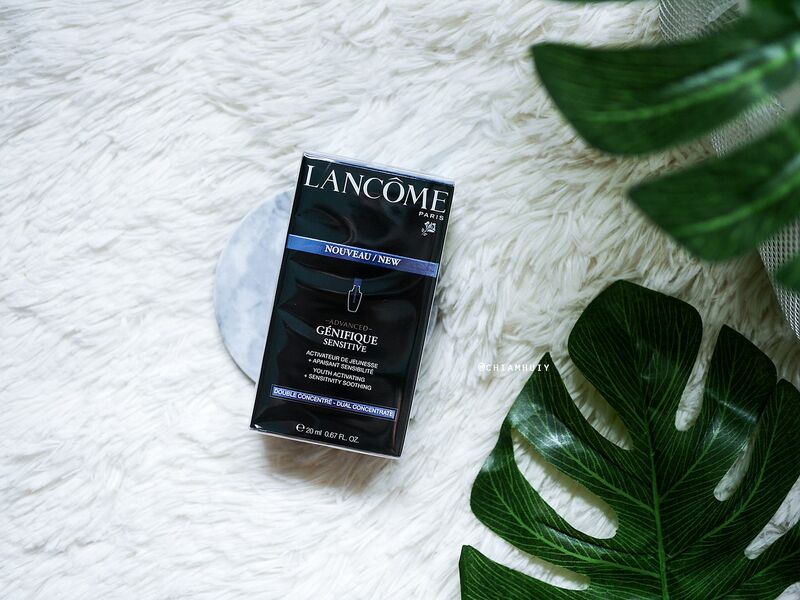 The Advanced Génifique base is also revamped by combined three major probiotics fraction families for the first time. Together, these three probiotics helps to combat inflammation to soothe the skin and strengthen the skin's barrier function. 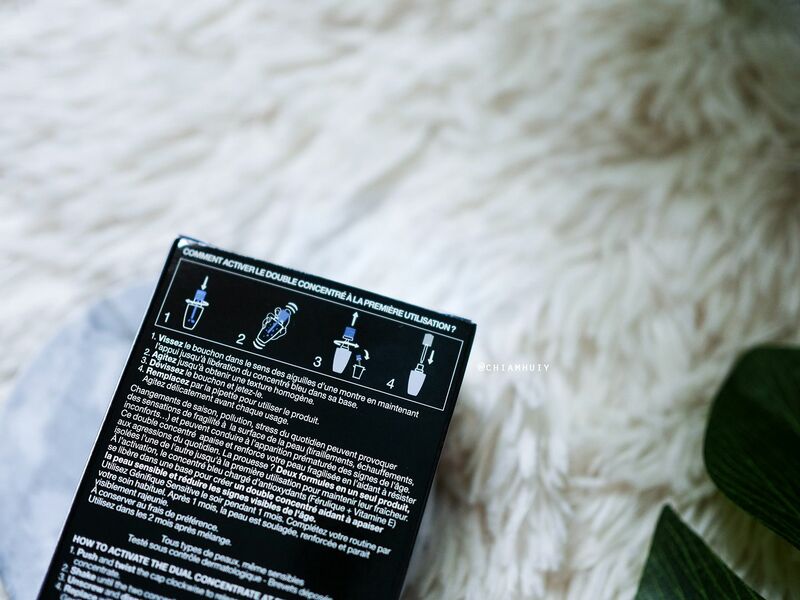 This comes useful especially when our skin faces environmental aggressors every single day, causing our skin more and more vulnerable each day. 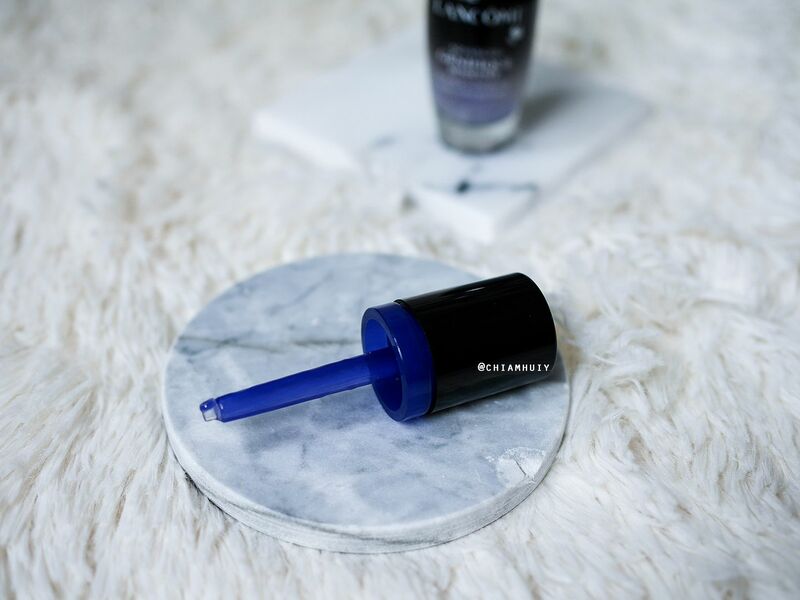 Witness how the antioxidants get released into the serum concentrate when you twist the booster cap. 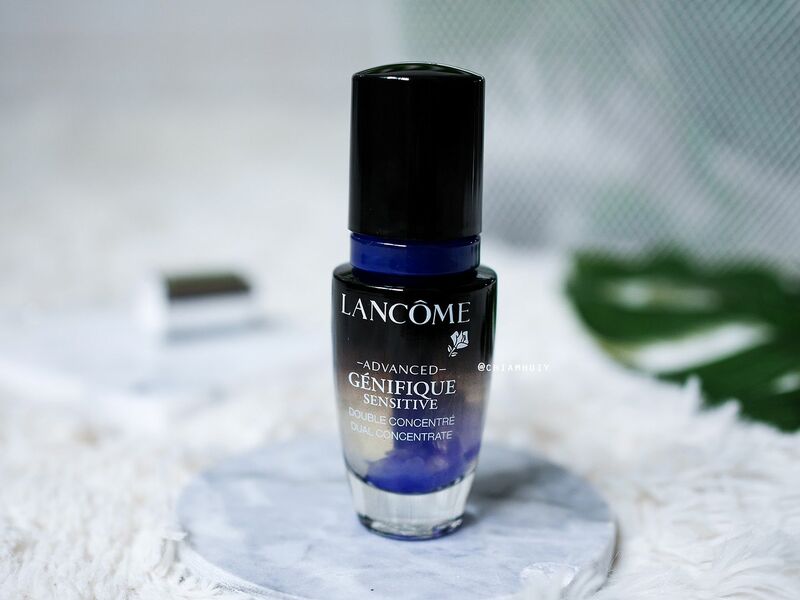 Shake the bottle well and your Lancôme Advanced Génifique Sensitive is now ready for use! The booster cap should be thrown away after activating the antioxidants into the serum. 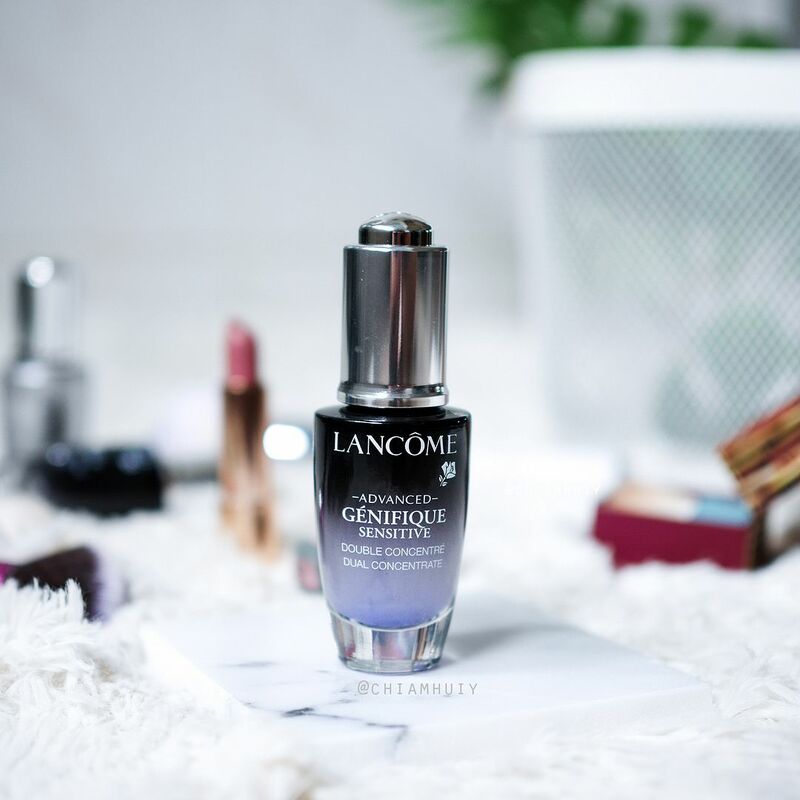 What if I have the Lancôme Génifique already? 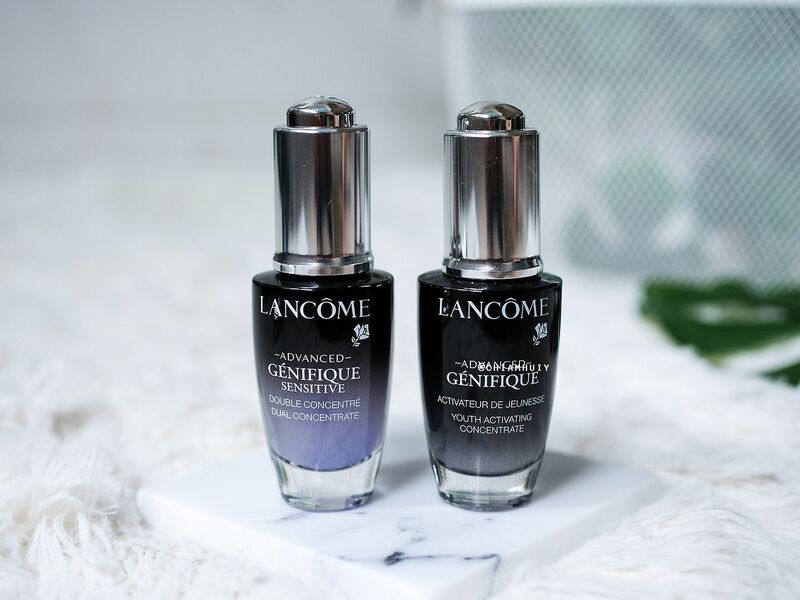 You can use the Lancôme Génifique in the day, and Lancôme Génifique Sensitive in the night as the perfect duo to combat bad skin days. 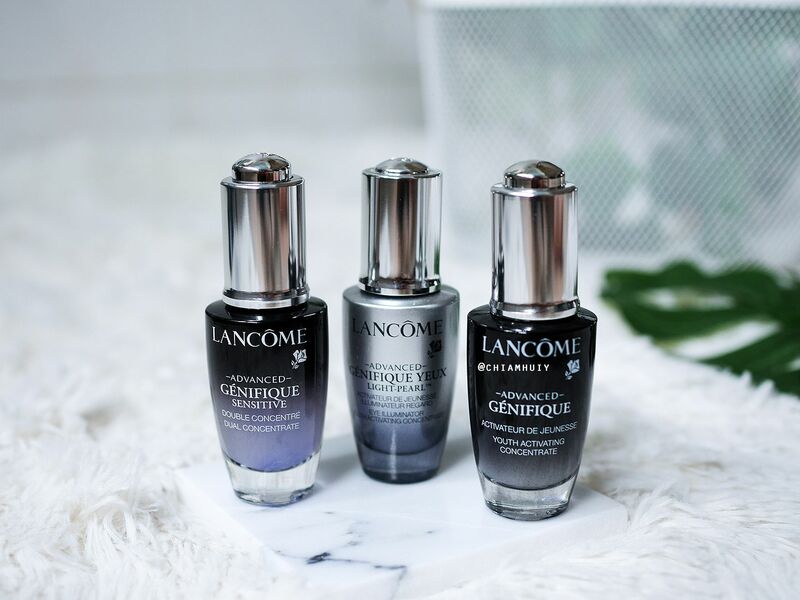 While both Lancôme Génifique and Lancôme Génifique Sensitive feel the same while being applied onto my skin, I realise a very small detail when I dispense one small drop of both the concentrate on my arm. 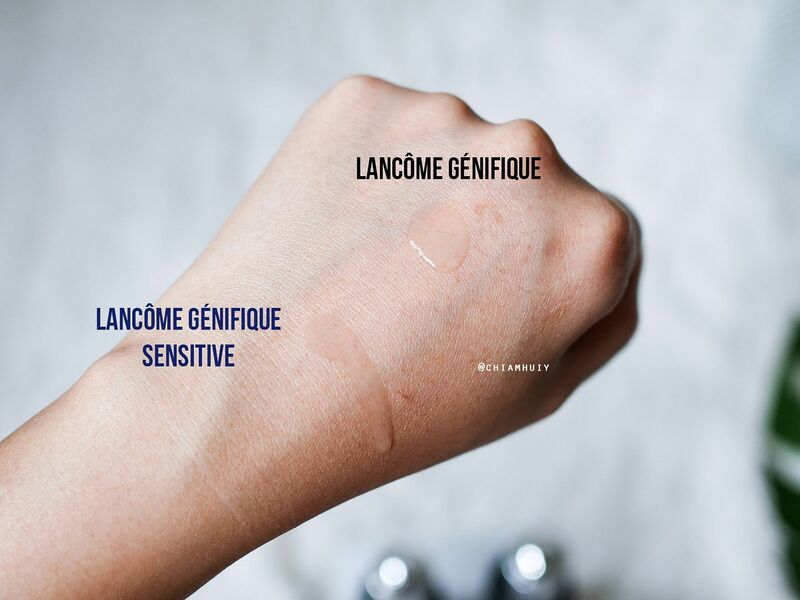 Lancôme Génifique Sensitive was actually much lighter, which allows it to flow down my skin easier than Lancôme Génifique. However, I have to say both feel the same on my face. 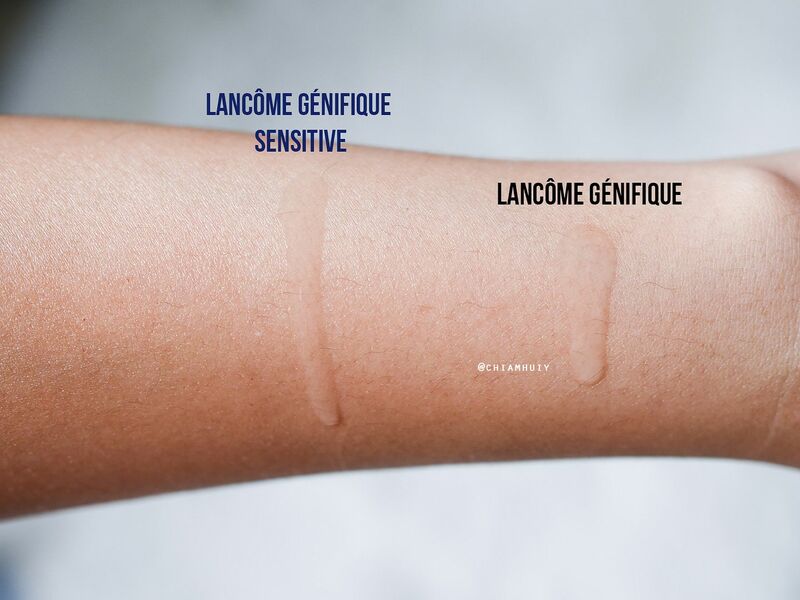 The one thing I would comment about Lancôme Génifique Sensitive is the smell of it. It might be due to the antioxidants which is giving a slight sour smell to the serum. It isn't very unbearable, just that it will take some time getting used to – but hey, sometimes stuff that’s good for you may not be the most pleasurable! 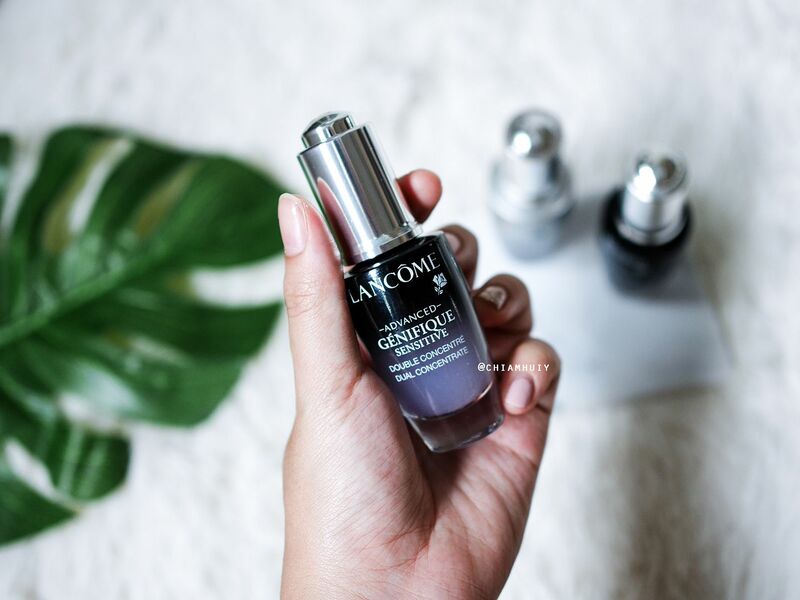 For someone who happens to go under the sun very often, Lancôme Génifique Sensitive is definitely a life savior to me.